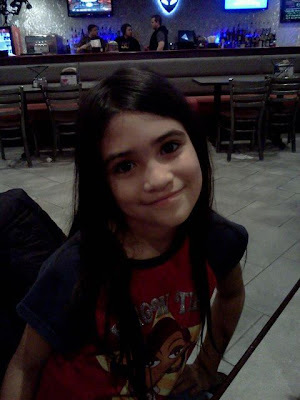 Today, 8 years ago, I gave birth to my beautiful daughter Arabella. I know what I am about to say is cliche and is said alot in regards to children- but I dont care! I cant believe how fast time has flown by. Last year, I remember baking her a topsy turvy cake and decorating it all crazy with candy and fondant! Arabella is an amazing lil girl who I swear is a mini me. Everyday, she does something that makes me bust out laughing. Her imagination and stories are so creative. She is growing into a fabulous young girl. This year,we celebrated her birthday throughout the whole weekend. 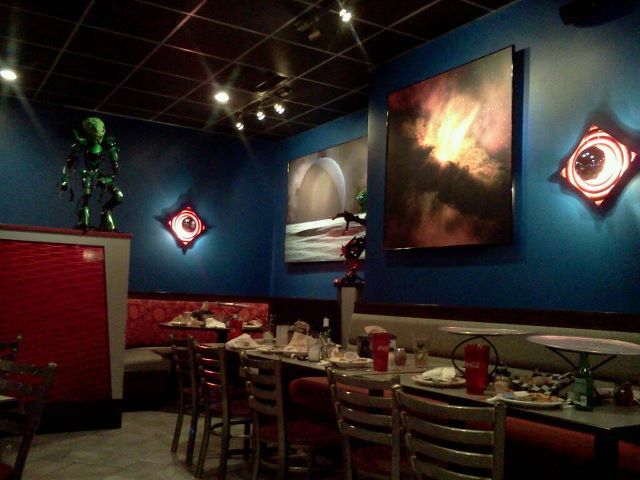 We went to Planet Pizza by the oceanfront which was yummy. None of us had eaten there before, I loved all the images and art on the walls. We played it lowkey and took the kids to the REC center for swimming yesterday. We ordered a strawberry icecream cake from Cold Stone Creamery. Oh and thanks to my friend from work who had shared her birthday Icecream cupcakes with me, I grabbed a 6 pack of those too from Cold Stone. And they were soooo good. Arabella never had an Icecream cake before and she was soooo excited. To add more fun to the day, my dad treated her to Build-A-bear to add another stuffed animal to the collection. We treated Matthias to getting a new bear too..well, he picked a fox this time. We ate dinner, opened present and she finally got her Easy Bake Oven that she has been begging for. I am too tired to upload more photos as it is 130am and I have work tomorrow or today I should say. This week is gonna be soooooo busy because some of the team is heading out to the Halloween Expo Trade Show in Houston to prepare and show our new products. I will be helping them all prep even though I will not be going, but will help make sure they all have everything they need! I will try to blog more about everything else I have been up to. Just been busy! Thanks for stopping by! You dont know how much it means to me that I have so many viewers everyday! Thank you!